Accelerate how your body PERFORMS with a world class coach who gets results. Do you really know your body? A Minor backache here or some slight knee soreness there -- no big deal, right? We only put more wear and tear on our bodies as we get older and that limits how we perform in every part of our lives. But you have to know where your body is NOW if you’re going to fuel it for maximum performance. Coach Tim Adams is committed to helping you bridge the physical gap between where you are now and where you should be with consistent coaching in his six-week intensive program. Do you really know your body?. A Minor backache here or some slight knee soreness there -- no big deal, right? Wrong. We only put more wear and tear on our bodies as we get older and that limits how we perform in every part of our lives. But you have to know where your body is NOW if you’re going to fuel it for maximum performance. 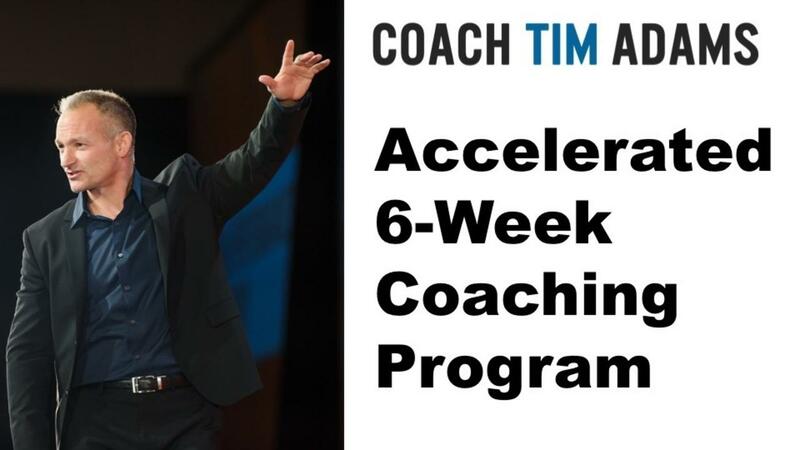 Tim is committed to helping you bridge the physical gap between where you are now and where you should b with consistent coaching in his six-week intensive program.